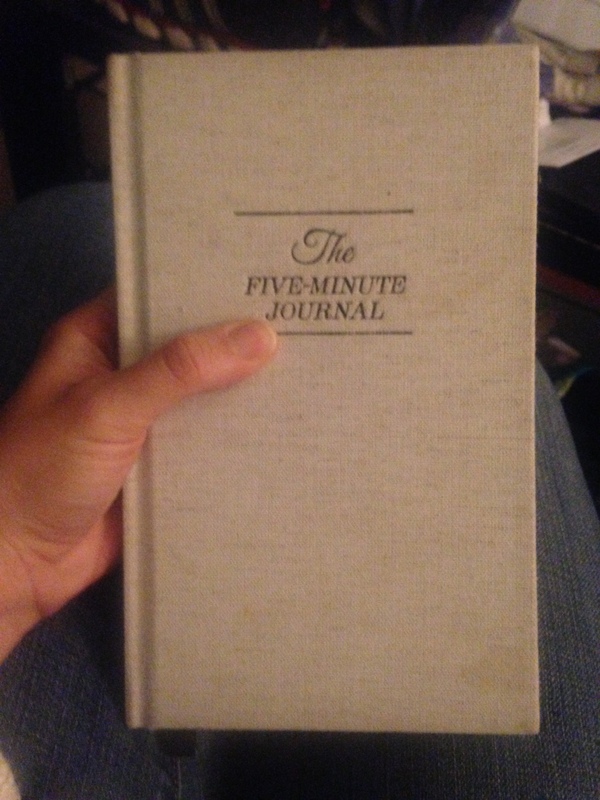 My journal takes 5 minutes! 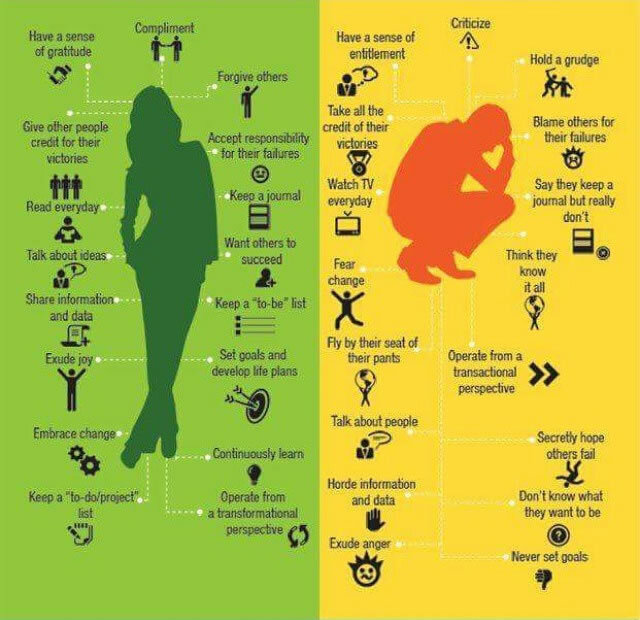 My husband has been on this kick lately with doing things that successful people do. He’s done a lot of research on habits of successful people and it has been amazing watching him grow as he’s taken on some of these habits. A lot of them he recommends for me to do as well and I must say, I would not be half the woman I am today, if I didn’t have my husband pushing me. I thought I had drive. But with my husband, I have WAY more drive. He’s that second engine that keeps me going when I want to give up. One of the things he has pushed me to do is journal write. I used think blogging was enough, but I just don’t blog daily, so in reality it isn’t. He bought me a journal for Christmas and asked that we journal in the morning together and in the evening. It is not a blank journal. It is specifically structured to inspire, help me goal set, help me to be joyful and thankful, and to affirm that which God has promised and given me. I absolutely LOVE it! Every morning, I read an inspiring quote and then write down 3 things that I am thankful for. Then I write three things I would like to have happen today that would be amazing. After that, I write an affirmation. Now as a Christian, I’m a little leary of affirmations. I sort of seeing it as praying to myself….. or trying to gain strength from within myself, when the bible teaches me that I gain my strength through Christ. So I sort of modify my affirmation. I took some time to think about where I wanted to grow. And I looked at God’s word and what he asks of me and what he promises to me through his spirit. I then created a Christ centered affirmation that reminds me who I am in Christ. And this person is who I want to be. The thing is, I have a busy life. And I am easily overwhelmed. And when I am overwhelmed, I’m negative, I’m anxious, and I just am not loving. I become super selfish and become wrapped up in just getting what I need done without any joy and without concern for the joy of others around me. Its awful. I don’t like that side of me. But I have a busy life. So I need to change. Journal Writing is a key to success! I am loving, patient, and joyous in all circumstances without fear or anxiety because Christ lives in me! Then at the end of the day before bed, I reflect on my day. I write down three awesome things that happen (some of them connect to what I hoped for that morning, and some are just pleasant surprises). And then I write three things I wish I had done differently. Not to wallow in despair. But to help me to reflect on my need to grow, so I can do better the next time. One of the things I think is great about journal writing as well, is going back and seeing answers to prayer, as well as seeing growth. If you don’t journal, I highly recommend it! If you do journal, what are your journaling techniques? What do you recommend to journal for success? Please share in my comments. « Love is not Jealous. And Benny agrees!